How many times has this happened to you: You're floating down the street on your XR when out of nowhere, a blood thirsty German Shepard rips through the bushes and charges right at you! What do you do? He's getting closer! You need to think fast! He's about to bite your legs off when you remember that you came prepared with the Pocket Steak! 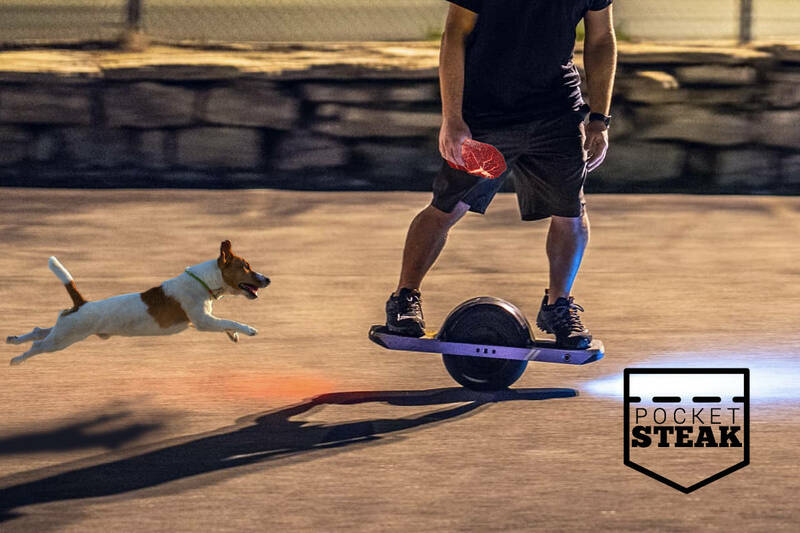 The Pocket Steak is a revolutionary product that will save you from wild animal attacks while riding your OneWheel! 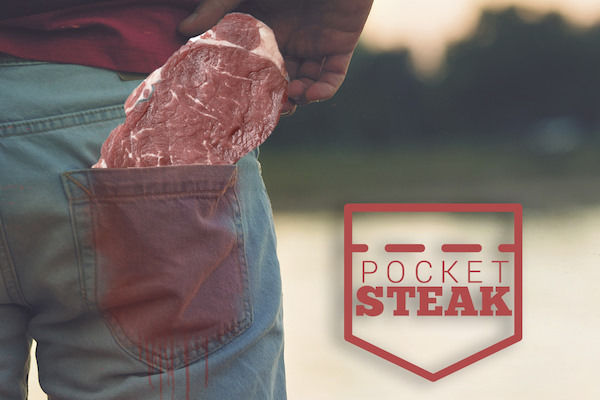 Simply shove a Pocket Steak in your back pocket before you head out. When a dog begins to chase you, simply remove the Pocket Steak and toss it behind you. Animals are dumb and will go right for the juicy Pocket Steak while you float on to safety!